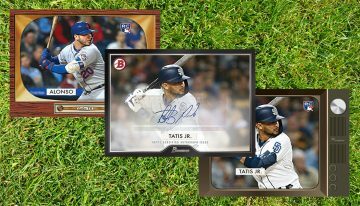 The 2017 Topps Jay Lynch Tribute set has Topps and several of their artists honoring one of their own. All of the profits from the set, which is being sold on the Topps website, will go to support Lynch and his health bills. 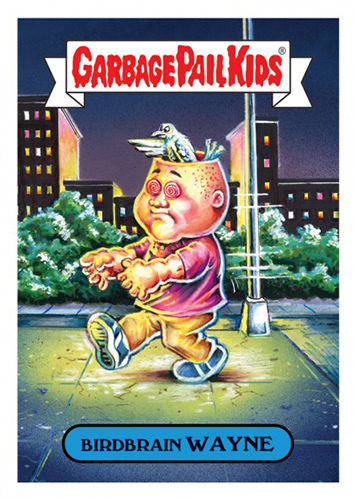 The 11-card checklist highlights some of Lynch’s past Garbage Pail Kids and Wacky Packages jokes, which have new paintings from artists currently working with the lines. Lynch’s history with the hobby and Topps go back decades. 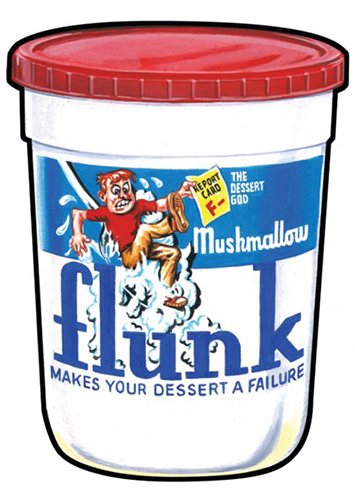 He was also an instrumental figure in the underground comix scene in the 1960s. His influence continues to be felt today thanks to his mentoring and friendship with other artists. 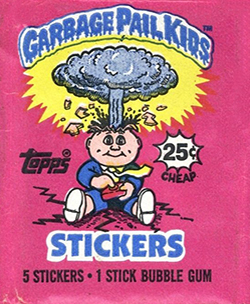 “I was introduced to Jay when I was an editor at Topps and we became good friends,” said Jeff Zapata. 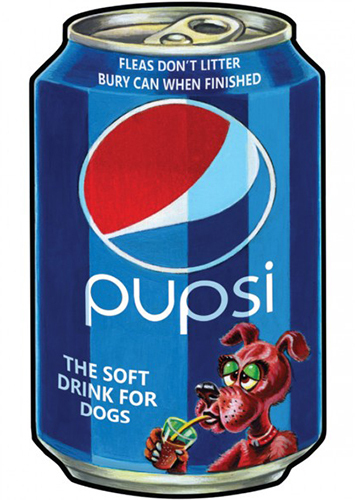 “We worked on several GPK and Wacky Packages series together. 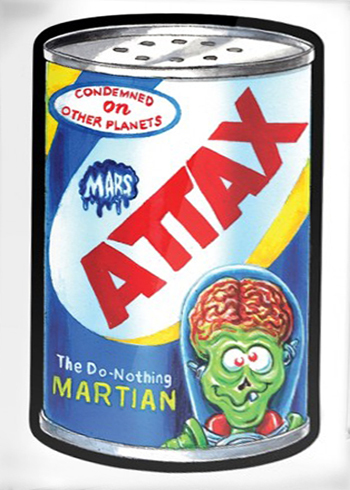 He would stay over at mine or his childhood pal Art Spiegelman’s house when he visited the city. It was those times when we would draw and doodle together that I really got to soak in Jay’s style of drawing and most of all, his sense of humor. 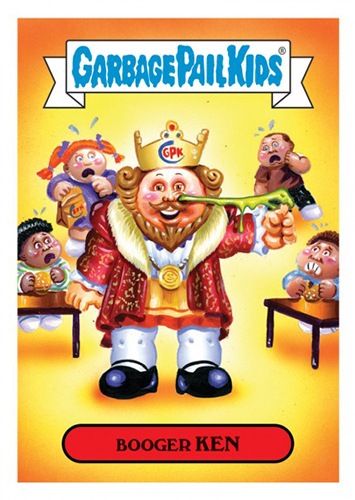 Topps is selling the Jay Lynch Tribute set for a month. 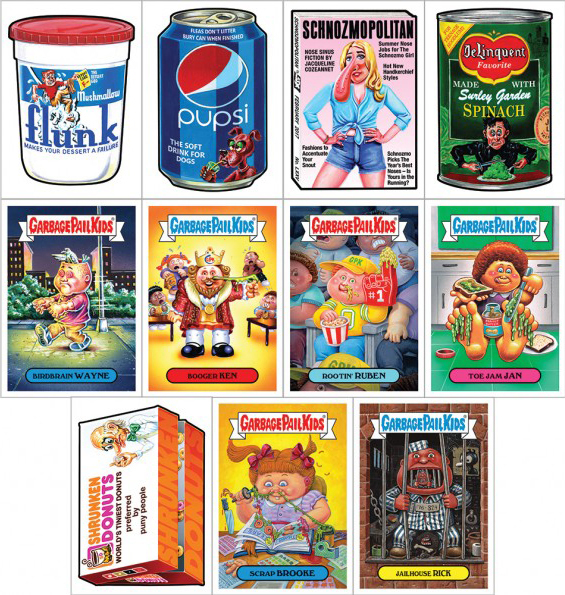 The cost for the 11 cards (six Garbage Pail Kids and five Wacky Packages). The cost of each set is $64.99 with all of the profits going towards Lynch’s health costs. Like other online releases, sets will be printed to order. Production runs will be announced after the initial sales window closes. I never saw what the print run was. Any idea? Did the funds go to his estate?